When you’re seeking the right information, you use Google. 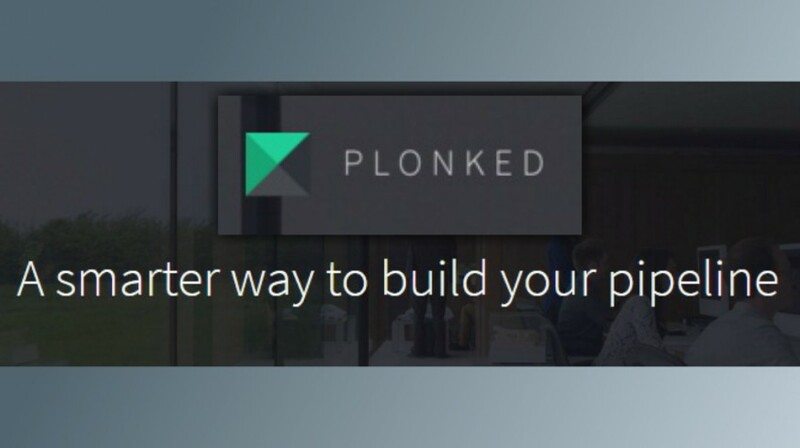 When you’re searching for the right company, you use Plonked. 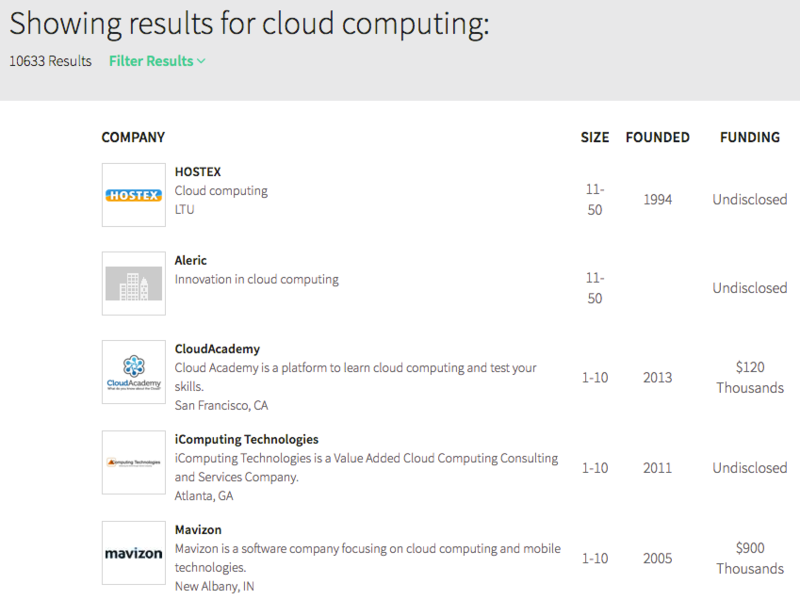 The question is whether this business search engine will be a hit for small businesses too. Currently, Plonked’s database only contains a list of 250,000 tech companies, but efforts are underway to include all of the 24 million businesses in the U.S. by year-end. Once it accomplishes that feat, it plans to set the bar even higher and include all companies worldwide. Conduct a search on Plonked using industry-related keywords or a company name and you will see results similar to those pictured in the screenshot below. Media “traction” — aggregate data and a list of recent articles written about the company. If you click the “View Explorer” link, you are presented with a visual depiction of related businesses based on four criteria: similar companies, partnerships, customers and vendors. A slider lets you pick the number of relationships shown, from 0 to 50. 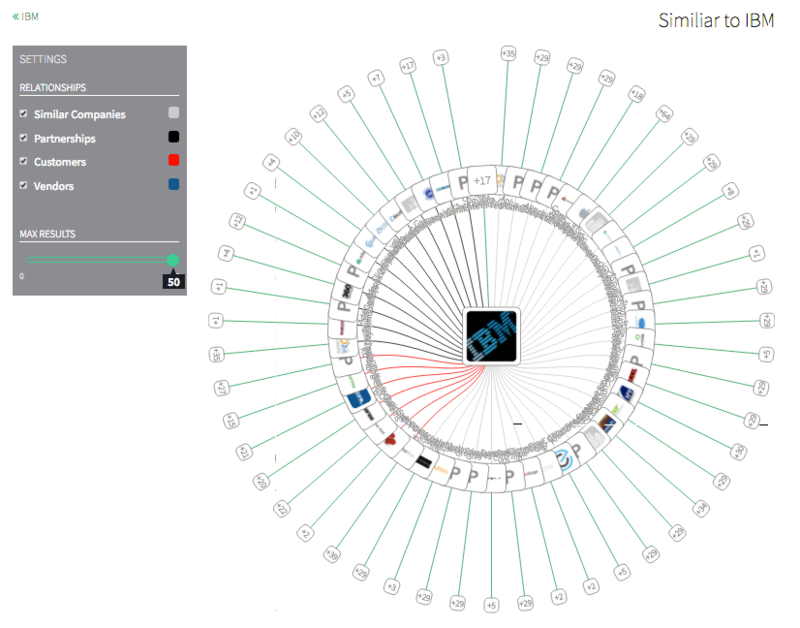 Also, users can click on any of the other companies included in the visualization, to explore further. 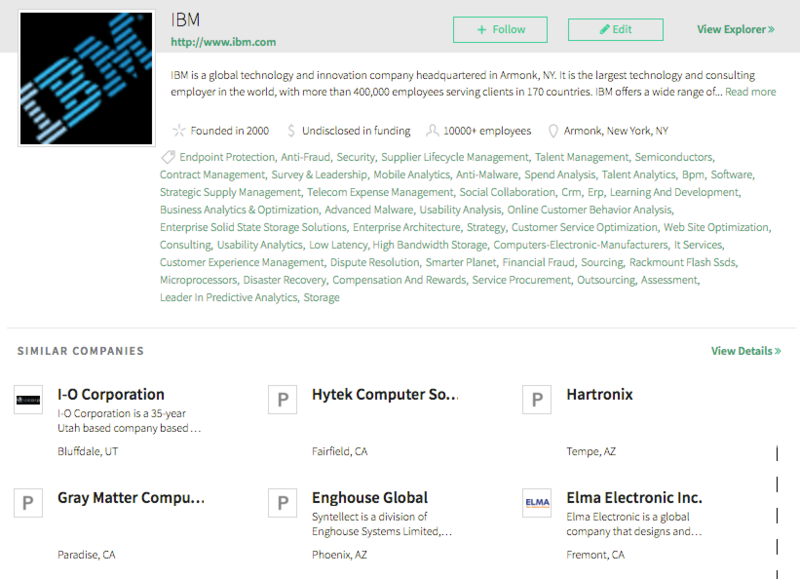 For example, a search on Explorer for IBM revealed a vast network of related companies — 232 in all, to be precise — far exceeding the 50 returns limit. Connections comprise the heart of Plonked’s algorithm — ranking is even driven by company-to-company relationships — and even Kevin Bacon has nothing on this search engine’s ability to foster them. The search engine has already made plenty of connections in the short time since its launch, according to Varma. Anyone can use the search engine for free, but premium options are available for businesses that wish to build out their sales pipeline, identifying prospects that are similar to existing customers and which have first- and second-degree connections. Starting at just $25 per month, the cost is nominal. Not only does it provide businesses with the ability to search and connect with other companies but also receive notifications when new connections or companies emerge and identify new leads by analyzing its existing customer base. A second price tier — $250 — gives companies the ability to integrate with CRM and marketing automation tools, such as Salesforce. Plonked gives individual users the ability to sign-up and create a profile for free. Once set up, the platform searches the person’s contact database for connections. Users can also invite others to join, creating another avenue for connecting. In addition, subscribed users can follow companies and receive updates when new connections or companies surface. They can also edit company profile information, Wikipedia-style. And similar to Wikipedia, Plonked reviews and approves updates before they go live, to prevent spammers or trolls from posting information that could injure a company’s reputation. Businesses can also update their profile information, to increase relevance, according to Varma. Face it, tech companies often have obscure, even indecipherable brand names, and Plonked is no different. There is a story behind its choosing, however. Plonked’s emphasis on helping business users explore, discover and connect with companies makes it ideal for sales and marketing professionals seeking to find prospects, as well as startups soliciting venture capital or job hunters exploring employment opportunities. Whether Plonked proves useful to small businesses remains to be seen, certainly at this nascent stage. Give it a few months to broaden its reach, however, enabling the search and exploration of all companies and industries, and it may be worth searching for your company, optimizing your profile and making connections. If nothing else, it could prove worthwhile as a channel for discovering sales leads. Visit the website, give Plonked a try and leave a comment, letting us know what you think.